UPDATE Global Radio and Arqiva have launched two additional national radio stations on Freeview. 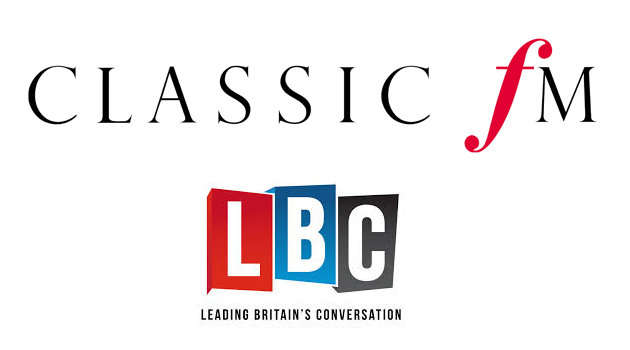 Classic FM - the last remaining national FM network not to have previously been on Freeview - joins the service on channel 731, while news and talk station LBC is now on channel 732. Global Radio already operates Capital (channel 724), Heart (channel 728) and Smooth Radio (channel 718) on Freeview. These radio services are also available through YouView boxes. Some Freeview receivers will need retuning to receive these services. The new additions are using capacity on the Arqiva operated multiplex that carries Sky News on Freeview, reaching around 90% of UK households. "In addition to the new stations, agreements with UTV for TalkSport and Bauer for Kiss, Kisstory, Kiss Fresh, Magic, Kerrang, The Hits Radio and Heat have also been concluded. Continuation of Smooth Radio (part of Global’s portfolio) and Premier Christian radio have also been agreed. " Absolute, Capital and Heart are omitted here as they not carried on an Arqiva multiplex on Freeview. As reported earlier this week, RNIB's Insight Radio is advising its listeners on satellite to switch to its service on Freeview channel 730. I'm not entirely convinced that Classic FM in 64kbps mono will bring in droves of classical music fans to freeview. I've been trying to find a list of bitrates on Freeview (does anyone know of one? ), with the main objective of seeing how Classic FM compares to its DAB and online versions. If it's 64kbps mono, that answers my question. Owen: Classic FM is streamed as 128kps MP3 online, which you can easily record on your PC. I'm not set up for it and wouldn't know where to start looking for relevant software. I have a perfectly good Freeview HD PVR, I want to use that. Plus my broadband is a bit unreliable, one recording in five would fail somewhere in a one hour recording. Also last time I tried to listen to Classic FM's MP3 feed, it had very annoying high pitched noises on it all the time. This is using a Squeezebox to play it, which has no such problem with other MP3 stations. So I switched to Classic FM on DAB since it doesn't have the annoying high pitched weebly noises. I'd prefer to use FM (I use it for BBC live listening), but FM reception of Classic FM is poor here. Bit rates site, select UK and then Freeview, mux you want etc. Thanks for the link, very useful. I listen to the MP3 version through my hifi, I don't hear any high pitched or other artefacts, and the sound quality has the edge over DAB. The DAB version is surprisingly good, though, considering it's only 128kbps. I'm listening now to the internet stream, and they've just advertised the Freeview version! I agree, 64kbps mono is a disgrace, it should at least match the DAB bitrate. In fact, it makes me fear for the DAB bitrate. If they lower it further, FM will replace DAB as my second choice. I use mplayer from the command line to dump internet streams, but admittedly that's not for everyone. A quick Google for "internet radio recorder" brings up numerous free Windows applications.